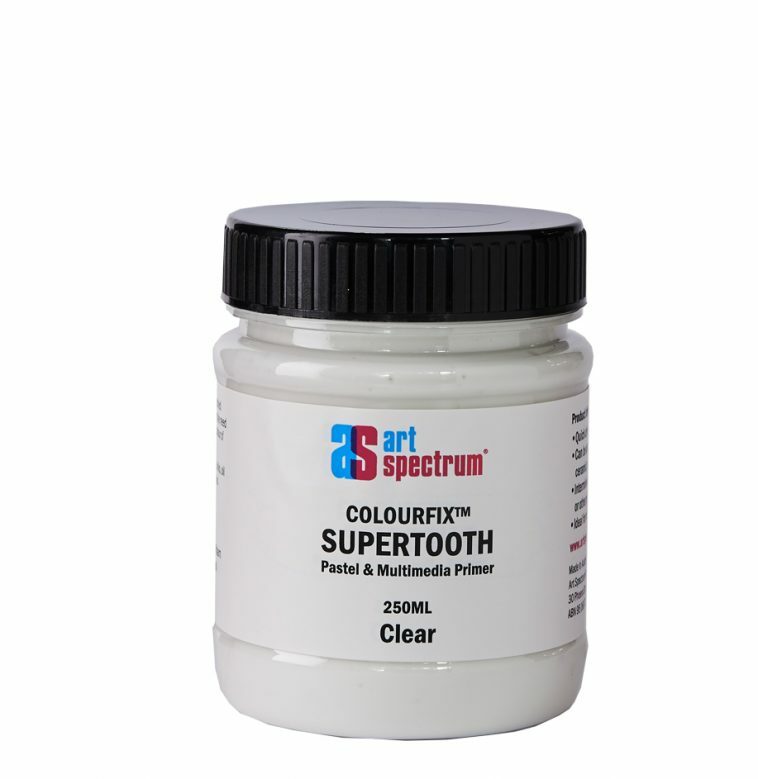 For those who want an even toothier Primer, Art Spectrum® Colourfix™ Rough (formerly known as Supertooth) is the answer. 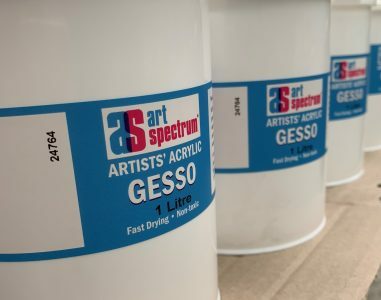 Art Spectrum® Colourfix™ Primer has a rough tooth, and is a quick drying acrylic primer which bonds aggressively to practically any clean, dry surface – all types of papers (300 gsm or heavier recommended), canvas, card, ply, plastic, glass, timber, ceramic and metal. 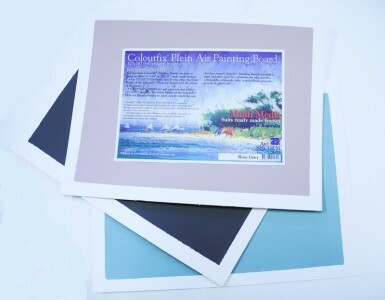 Art Spectrum® Colourfix™ Primer can be applied with brushes, sponges, rollers etc. straight from the pot. All Art Spectrum® Colourfix™ Primers can be intermixed, or tinted with Art Spectrum® Inks or Gouache, to create new shades. The Clear Colourfix™ Primer allows the natural surface or underlying colours to remain visible, whilst providing extra tooth for more overlays. 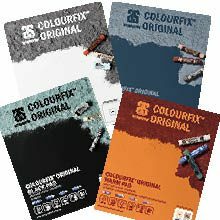 Use Art Spectrum® Colourfix™ Primers for mixed media techniques and experimental art and craft works. It can even be used as an adhesive for collage.